Fernandez-Gonzalez, M., H. Ribeiro, J.R.S. 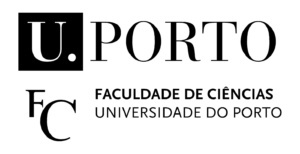 Pereira, F.J. Rodriguez-Rajo, I. Abreu, 2019: Assessment of the potential real pollen related allergenic load on the atmosphere of Porto city, Science of The Total Environment, Vol. 668,Pages 333-341, https://doi.org/10.1016/j.scitotenv.2019.02.345. Palma, P., R. López-Orozco, C. Mourinha, A. L. Oropesa, M. H. Novais, P. Alvarenga, 2019: Assessment of the environmental impact of an abandoned mine using an integrative approach: A case-study of the “Las Musas” mine (Extremadura, Spain). Science of The Total Environment, Vol. 659, pp. 84-94, https://doi.org/10.1016/j.scitotenv.2018.12.321. 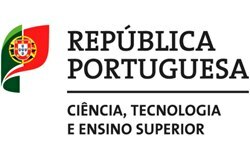 Alvarenga, P., C. Ferreira, C. Mourinha, P. Palma, A. de Varennes, 2018: Chemical and ecotoxicological effects of the use of drinking-water treatment residuals for the remediation of soils degraded by mining activities, Ecotoxicology and Environmental Safety, Vol. 161, pp. 281-289, https://doi.org/10.1016/j.ecoenv.2018.05.094. García, M.L., Maidana, N.I., Ector, L. and Morales, E.A, 2018: Staurosira magallanesica, a replacement name for Staurosira patagonica M.L. Garcia, Maidana, Ector & E. Morales, nom illeg. (non Staurosira patagonica Cleve) (Bacillariophyta, Staurosiraceae). Notulae Algarum 51: 1-2. Iakunin, M., Salgado, R., and Potes, M., 2018: Breeze effects at a large artificial lake: summer case study. Hydrol. Earth Syst. Sci., 22, 5191-5210, https://doi.org/10.5194/hess-22-5191-2018. Morais M., Novais M.H., Penha A., Nunes S. & Morales E.A. (2018). Avaliação da integridade ecológica de um reservatório na região mediterrânica: caso de estudo da albufeira do Enxoé, Sul de Portugal. 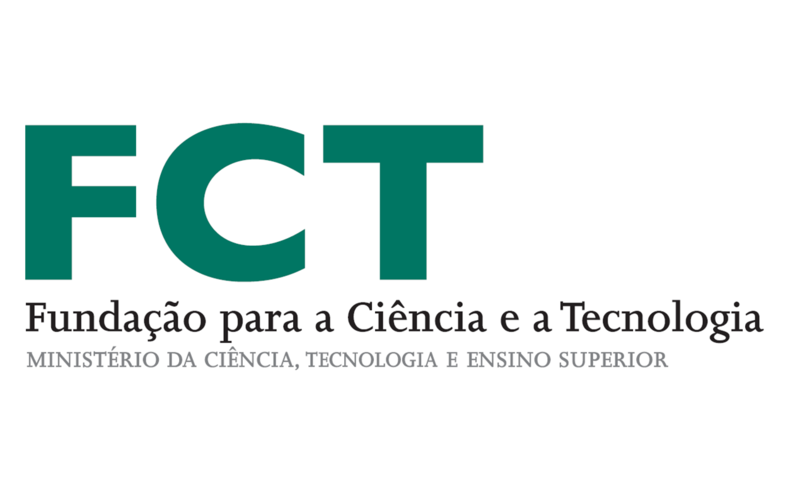 Revista de Ciência e Tecnologia – Univ. Cabo Verde 1(2): 9-25. Palma, P., C. Matos, P. Alvarenga, M. Köck-Schulmeyer, I. Simões, D. Barceló, M.J.López de Alda, 2018: Ecological and ecotoxicological responses in the assessment of the ecological status of freshwater systems: A case-study of the temporary stream Brejo of CagarrÃ£o (South of Portugal), Science of The Total Environment, Vol. 634, pp. 394-406, https://doi.org/10.1016/j.scitotenv.2018.03.281. Papagiannopoulos, N., Mona, L., Amodeo, A., D’Amico, G., Gumà Claramunt, P., Pappalardo, G., Alados-Arboledas, L., Guerrero-Rascado, J. L., Amiridis, V., Kokkalis, P., Apituley, A., Baars, H., Schwarz, A., Wandinger, U., Binietoglou, I., Nicolae, D., Bortoli, D., Comerón, A., Rodríguez-Gómez, A., Sicard, M., Papayannis, A., and Wiegner, M., 2018: An automatic observation-based aerosol typing method for EARLINET, Atmos. Chem. Phys., 18, 15879-15901, https://doi.org/10.5194/acp-18-15879-2018. Potes, M., G. Rodrigues, A. Penha, M. H. Novais, M. J. Costa, R. Salgado, and M. M. Morais, 2018: Use of Sentinel 2 – MSI for water quality monitoring at Alqueva reservoir, Portugal. Proc. IAHS, 380, 73–79, 2018. https://doi.org/10.5194/piahs-380-73-2018. Ramos, T.B. ; Darouich, H.; Gonçalves, M.C. ; Brito, D.; Castelo Branco, M.A. ; Martins, J.C.; Fernandes, M.L. ; Pires, F.P. ; Morais, M.; Neves, R. An Integrated Analysis of the Eutrophication Process in the Enxoé Reservoir within the DPSIR Framework. Water 2018, 10, 1576. https://www.mdpi.com/2073-4441/10/11/1576. Stubbington, R., R. Chadd, N. Cid, Z. Csabai, M. Milisa, Manuela Morais, A. Munné, P. Paril, Vladimir Pesic, I. Tziortzis, R. C.M. Verdonschot, T. Datry, 2018: Biomonitoring of intermittent rivers and ephemeral streams in Europe: Current practice and priorities to enhance ecological status assessments. Science of The Total Environment, Vol. 618, pp. 1096-1113, https://doi.org/10.1016/j.scitotenv.2017.09.137. Vaquero-Martinez, J., M. Anton, J. P. Ortiz de Galisteo, V. E. Cachorro, P. Alvarez-Zapatero, R. Roman, D. Loyola, M. J. Costa, H. Wang, G. González Abad, S. Noel,2018: Inter-comparison of integrated water vapor from satellite instruments using reference GPS data at the Iberian Peninsula. Remote Sensing of Environment, Vol. 204, Pages 729-740, ISSN 0034-4257, https://doi.org/10.1016/j.rse.2017.09.028. Mandija, F., Sicard, M., Comeron, A., Alados-Arboledas, L., Guerrero-Rascado, J. L., Barragan, R., Bravo-Aranda, J. A., Granados-Munoz, M. J., Lyamani, H., Munoz Porcar, C., Rocadenbosch, F., Rodriguez, A., Valenzuela, A., Garcia Vizcaino, D., (2017), Origin and pathways of the mineral dust transport to two Spanish EARLINET sites: Effect on the observed columnar and range-resolved dust optical properties, Atmospheric Research, Volume 187, 69-83, ISSN 0169-8095, http://dx.doi.org/10.1016/j.atmosres.2016.12.002. Morales, E.A., Rivera, S.F., Wetzel, C.E., Hamilton, P.B., Houk, V. & Ector, L. 2017. A new centric diatom belonging to the Cyclotella meneghiniana Kütz. species complex (Bacillariophyta): Cyclotella longirimoportulata from Alalay Pond, Cochabamba, Bolivia. Nova Hedwigia, Beiheft 146: 73-87. DOI: 10.1127/1438-9134/2017/073. Obregón , M. A., M. J. Costa, A. Silva, A. Serrano, 2017, Thirteen Years of Aerosol Radiative Forcing in Southwestern Iberian Peninsula. Aerosol and Air Quality Research. DOI: 10.4209/aaqr.2017.05.0159. Ribeiro, H., Costa, C., Abreu, I., Esteves da Silva, J.C.G., 2017:Effect of O3 and NO2 atmospheric pollutants on Platanus x acerifolia pollen: Immunochemical and spectroscopic analysis. Science of the Total Environment, 599-600, pp. 291-297. Van Bilsen, J.H.M.,Sienkiewicz-Szłapka, E.,Lozano-Ojalvo, D.,Willemsen, L.E.M.,Antunes, C.M.,Molina, E.,Smit, J.J.,Wróblewska, B.,(…),Roggen, E.L. (2017). Application of the adverse outcome pathway (AOP) concept to structure the available in vivo and in vitro mechanistic data for allergic sensitization to food proteins. Clinical and Translational Allergy 7:13. DOI: 10.1186/s13601-017-0152-0; EID: 2-s2.0-85018917003; URL: http://www.scopus.com/inward/record.url?eid=2-s2.0-85018917003&partnerID=MN. Vaquero-Martinez, J., M. Anton, J. P. Ortiz de Galisteo, V. E. Cachorro, H. Wang, G. González Abad, R. Roman, and M. J. Costa. 2016: Validation of integrated water vapor from OMI satellite instrument against reference GPS data at the Iberian Peninsula. Science of the Total Environment. http://www.sciencedirect.com/science/article/pii/S0048969716327176.